If you can do a split mid-air and pirouette so fast you make other people dizzy, do the world a favor and become a professional dancer. A degree in dance means so much more than hitting the studio every day for the next four years. It means technique, improv and choreography. It means pedagogy, kinesiology and history. Become a master of one of humanity’s oldest artforms and inspire the rest of us cha-cha-sliders with what the human body is truly capable of. These top 10 dance colleges have a variety of dance degree options, challenging auditions, top notch facilities and instructors, provocative coursework and more enrichment opportunities than you can shake your tailfeathers at. Get your Epsom salt bath ready. Just thinking about getting into one of the top 10 dance colleges will make your muscles sore. 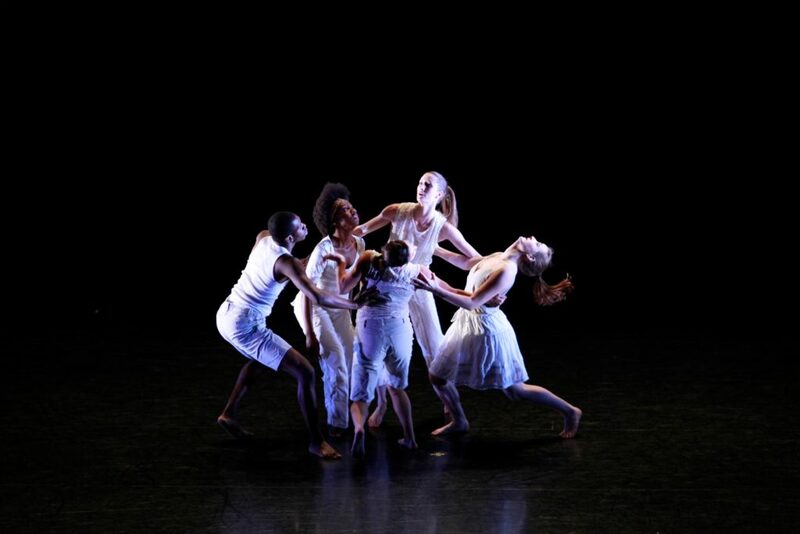 Brenau University gives its dance students plenty of options. Get your dance B.A. with a concentration in advanced ballet, modern dance, jazz/musical theatre, dance pedagogy or even pre-occupational or pre-physical therapy. “We strongly believe in a well–rounded dance student who can use their dance training… beyond the stage,” said John Streit, assistant professor of dance and summer dance director. You’ve only got one ballet technique class, modern and jazz dance center combinations, an improvisation problem and a post-audition interview standing between you and all the Brenau dance education your twirling heart can handle. You’ll benefit from small class sizes and a mentorship program to help you grow both personally and professionally. Freshman year focuses on preparation and professionalism. By your final year, you’ll graduate prepared to land work with an artist statement and final capstone project. If you want a better idea of where you’ll stretch and sweat, Brenau’s fitness center has four dance studios and an athletic training room. Brenau East, its second studio space location, houses a fully equipped Pilates studio and two more large studio spaces. “We work particularly on correct coordination of the upper body to further develop fluid and supportive hands and arms, as well as articulation of the lower body,” said Streit. Plus you can keep your summertime sadness at bay with the Summer Dance Intensive, a two-week program that packs in ballroom dancing, pointe, West African dance and yoga classes. Let the sunshine warm those muscles before you flex your way into USF’s dance program. After you ace the audition, choose from one of three dance concentrations: ballet, modern or dance studies. “The USF Dance Program’s B.F.A./B.A. 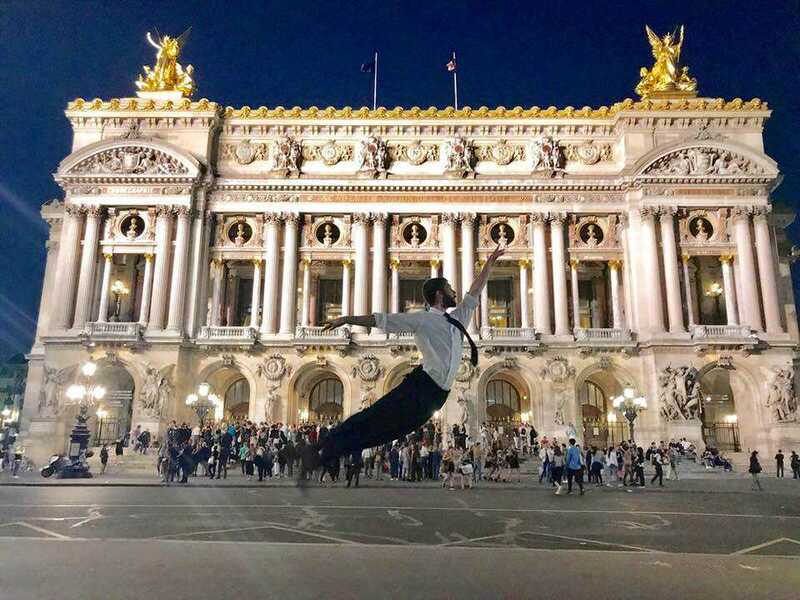 curriculum is based on… technical, creative and academic rigor, which deepens the training students already come to USF with,” said Professor of Dance and Director of the USF Dance in Paris Program Michael Foley. Your concentration in ballet or modern focuses on technique through classes like Laban movement analysis and understanding the dance experience. “I challenge students to understand and recognize movement preferences all while attempting to ‘move’ beyond their habits of working and creating,” said Assistant Professor of Dance Bliss Kohlmyer. Students work with accomplished guest choreographers like founder of the Arch Dance Company, Jennifer Archibald, and artistic director of New York Live Arts, Bill T. Jones. USF’s B.A. in dance studies combines dance with a secondary field of interest such as history, psychology or religion. Explore your love for anthropology by creating a cross disciplinary final project about the Apache girl’s rite of passage or any topic you want to dance into a little deeper. Or cross the pond to participate in USF’s Dance in Paris program. USF dance students learn from talented faculty who come from companies like Nederlands Dans Theater, Pina Bausch and William Forsythe. Drop that tired can-can routine and join the UNLV Department of Dance with (technically) no audition required. UNLV students can declare a dance, production and management B.A. straight away and will be admitted into the appropriate technique class through a placement audition. But if you want the performance and choreography B.F.A., you’ll have to perform some panel–pleasing, original choreography in under two minutes. “We believe that the dancer for this century needs to have a broad-base of technical abilities that carry across multiple genres and multiple styles of dance,” said Department of Dance Chairperson Louis Kavouras. The B.F.A. core includes classes like production and music theory for dancers. Get your super concentrated dose of summer dance with the UNLV Dance Summer International Intensive (this one’s even got a little funk/hip hop jazz fusion). Spend six days shakin’ it and makin’ connections with students from across the globe. You may even get to train with Korea National Sport University for eight weeks in Seoul. 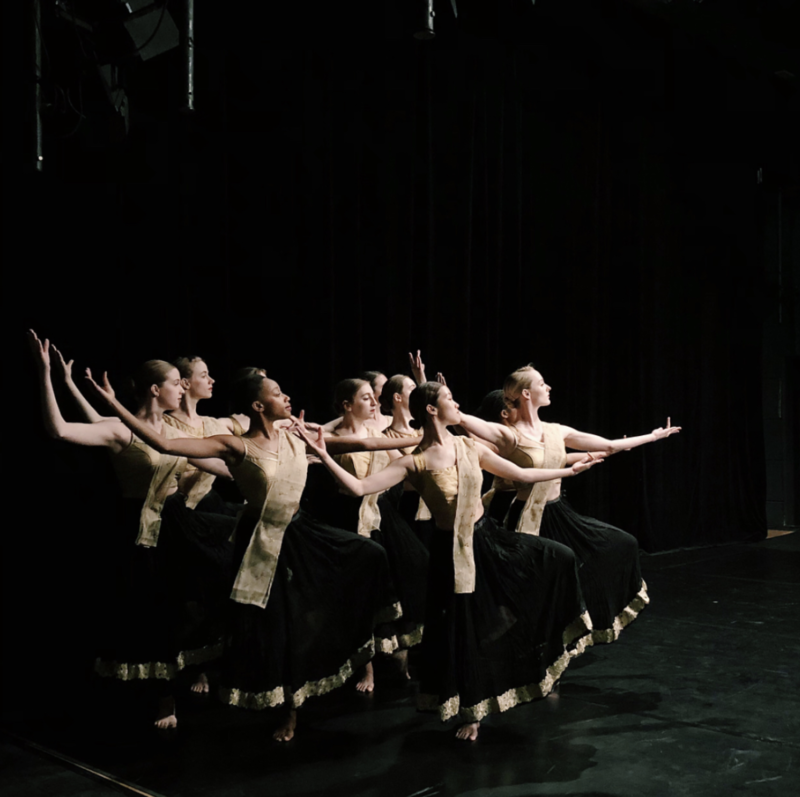 “The international exchanges, world-renowned guest artist and high–caliber artistic training give UNLV’s students a global understanding of the art of dance,” said Assistant Dean for Administration Richard Havey. And students get plenty of room to move around in the world and on campus. Its current dance facility has a 2,000 square-foot rehearsal studio, a 4,500 square foot dance studio/theatre, a production studio and experimental dance theatre. Who says you can’t start your dance career before college? Point Park University offers programs like the International Summer Dance program that’ll set apart aspiring dancers as young as 10 years old. Point Park also hosts a National High School Dance Festival with over 150 master classes and dance program scholarship auditions. Talk about a head start. Fast-forward to college, dance students choose between the B.A. and B.F.A. tracks in dance with a concentration in ballet, jazz or modern. If you can’t imagine yourself going more than a few days without sliding into a pair of tights and talking about dance all afternoon, get a B.A. in dance pedagogy. Courses range from body alignment to dance improvisation. “In my improvisation course, I challenge students’ perception of time and space and ask them to deconstruct their notions of movement invention,” said Assistant Professor of Dance Dr. Colleen Hooper. “My goal is for my students to learn how to push their bodies and minds beyond what is comfortable to create movement that reflects their unique perspectives.” Remember, beauty = pain. Get uncomfortable and create something beautiful. Point Park’s dance program demands mental and physical stamina and creativity on the daily. In the heart of downtown Pittsburgh, you’ll be practicing in the George Rowland White Performance Center’s state-of-the-art studios with on-site showers, changing spaces and bike racks for that green commute to class. There’s even grand pianos in the practice spaces. Dance students at Florida State get to practice their craft at the newly-renovated, magnificent Montgomery Hall. This facility houses the internationally recognized Maggie Allesee National Center for Choreography (MANCC), a dance and choreographic research center that forms a creative community for the development of new work. If you’ve got moves and rhythm for days, check out the MANCC choreographic fellowship to gain recognition and awesome resources for your creative research. To help with that research, students can access everything from a costume shop and conditioning studio to centers for music and technology with media labs and a recording studio. Show the world that you know how to move when you dance on foreign soil with the Dance in Paris or Dance in Valencia study abroad programs. While there, you’ll continue to study the core emphasis of performance and choreography for university credit. But if you’re too scared to fly over the ocean, stay in Tallahassee for rhythmic and movement analysis courses. “The rigor in the dance classes are instructed by top professionals in the field that understand the importance of stamina, strength, quality, performance and flexibility needed to endure the demands of high-level dance,” said Assistant Professor of Dance Caleb Mitchell. And if you stay another year, you can earn your M.A. in dance with the Five-Year Combined Degree program. Dance until the font size on your resume needs a magnifying glass to fit on one page and then dance some more with OCU. “We stay abreast of the ever-changing trends in show business and make sure that our classes and grading criteria mirror the current hiring demands of the profession,” said Dance Department Chairperson Jo Rowan. Expect to nail technique classes and a solo performance audition before you open the door to dance opportunity. Once admitted into the dance performance, American dance teacher or dance management track, prepare to take technique and choreography classes and even courses on voice and acting. “The Ann Lacy School of American Dance and Entertainment encourages growth from students by its focus on the technique of tap, jazz and ballet as used in musical theatre,” said Assistant Professor of Dance Tye Love. Each style has ten levels so students can progress at their own rate with smaller class sizes. OCU dance majors graduate as professional performers. Associate Professor of Dance Jessica Fay said, “My goal is to help students be intellectually connected and able to convey their unique personalities through movement.” The new Edith Kinney Gaylord Center in the Ann Lacy School of American Dance includes eight dance studios, student lounges, permanent barres outside the studio for pre-class stretching and audio and visual technology-equipped classrooms. Join companies like American Spirit Dance or Spirit of Grace Liturgical. Become a pep dancer, go on tour or slip into something sparkly for the spring and “Home for the Holidays” dance shows. The age-old question: will you study classical ballet or contemporary dance? Either way you slice it, you’ll take technique classes in both styles to ensure your versatility as a performer at UNCSA. “A promising UNCSA dance applicant is well-versed in the arts, committed to making a difference in the world through their art and is dedicated to sharing their gifts with their communities and lovers of the arts, at-large,” said UNCSA School of Dance Liaison Rob Myers. Male students have separate classes dedicated to giving them the physical, stylistic and technical skills required of their gender in this industry. However, you can pop off those toe guards in between pointe and partnering for a course in practical career and business issues. Both tracks require students to choreograph, cast, rehearse and present a short work to the public in their final year, so get ready for some stress. And all you lucky contemporary dance students get a preview of this stress when you compose your very own M3 Spree concert piece during third year. If doing a split mid-leap doesn’t make you feel accomplished enough, UNCSA offers several programs that’ll give your extra–curricular dopamine receptors a boost. The summer dance program includes intensives in contemporary dance, classical ballet and Broadway commercial dance, three professional development programs and a choreographic residency. Participate in the Festival of North Carolina Dance or the year-long Emerging Choreographers program for that extra resume glitz. With a B.F.A. in dance performance from Butler, your pre-professional opportunities don’t stop at The Nutcracker. The performance component of the program gives students the chance to take part in classical ballet shows like Swan Lake, Cinderella and Sleeping Beauty. Can you see the sparkles and backstage mist of hairspray yet? The application process includes a ballet class judged by the entire full-time dance faculty. Then you’ll be randomly assigned to levels 1, 2, 3 and 4 to take another ballet class with current dance majors. Push through your nerves until the adrenaline kicks in so your sweaty palms don’t slip off the barre. If you want to see what you’re signing yourself up for, Butler has ‘A Day in the Life of a Butler Dance Student’ schedule for students to understand the rigor that comes with studying dance. If 8 a.m. to 5:30 p.m. days sound like a piece of cake, you’ll join a consistently top-ranked institution of highly respected and conservatory–level instruction. Spend your days in Lilly Hall dancing on Harlequin sprung floors with classes accompanied by live musicians. You’ll get access to a conditioning room, consultations from an athletic trainer, five fully equipped dance studios and art partnerships with the likes of the Indianapolis Opera, Symphonic Choir, Chamber Orchestra and Dance Kaleidoscope. Jaw, meet floor. Bring your a-game to NYU Tisch School of the Arts’ selective dance audition. If your plies are on point, you’ll be asked to perform a short, three-minute solo dance followed by a personal interview. Even if it takes months to perfect, this solo dance should be flawless and show your physical potential and technical skills. Tisch’s dance B.F.A. curriculum spans three years and two summer semesters of intense and increasingly nuanced dance training. The first year emphasizes placement and alignment, teaching you to dance in the most efficient and healthy way possible. Third year focuses on professional dance experience, performance and choreography. Tisch students graduate as professionals chiseled to industry standards. Summers bring the chance to study with innovative contemporary choreographers like the inspiring Tony-Award-winning Bill T. Jones and world traveling dance companies like David Dorfman Dance. You can even study abroad in Berlin for three weeks of dance training so intense it would make the reverend from Footloose blush. These summer dance residencies will enrich your artistic journey and deepen your creative mind. In the final year, Tisch students become ensemble members of the Tisch’s Second Avenue Dance Company and perform in events like the three-day March Concert and five-day Major Dance Concert. Numerous other opportunities exist for Tischys like the Dance Prix de New York, one week of global dance education concentrated right in New York City. Enter the one, the only, Juilliard School. “I expect my dancers to show up; not just in the sense that they walk into a room and are marked present, but that they fully commit to investing in their own potential on a daily basis,” said director of Juilliard’s Dance Division Alicia Graf Mack. If you know you’ve got what it takes (including but not limited to: a minimum of three years of high level and quality training in ballet and modern dance, demonstrated musicality, an articulate body promising significant development in dance and a current training schedule of at least 10 hours a week), then audition to become one of 24 Juilliard dance B.F.A. students. Once you get the acceptance letter most people only dream about, you’ll begin rigorous training in ballet, modern, partnering, contact improvisation and topics in dance. “Our curriculum is multifaceted, creating effective communicators and citizen artists,” said Mack. Your departmental and liberal arts requirements include courses like society, politics, and culture, dance history and stagecraft. You won’t find any shortage of productions to audition for at Juilliard. The Dance Division puts on about 30 public performances each year. You could even be one of six talented dancers chosen to collaborate with music composition students to create new works in the Choreographers & Composers course. High schoolers also get an opportunity to achieve Juilliard excellence early with the summer dance intensive. These students spend 20 days taking technique classes in the morning and enrichment classes like yoga and improvisation technique in the afternoon. Juilliard pushes you past your own expectations to achieve greatness in the craft of dance.